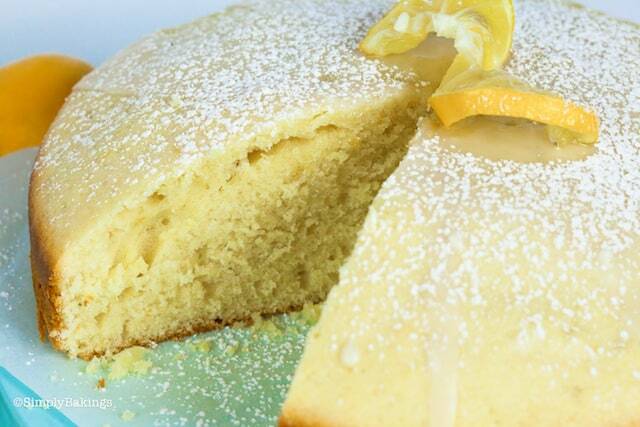 This Simple Lemon Cake Recipe is delicious, tangy, and so easy to make from scratch. 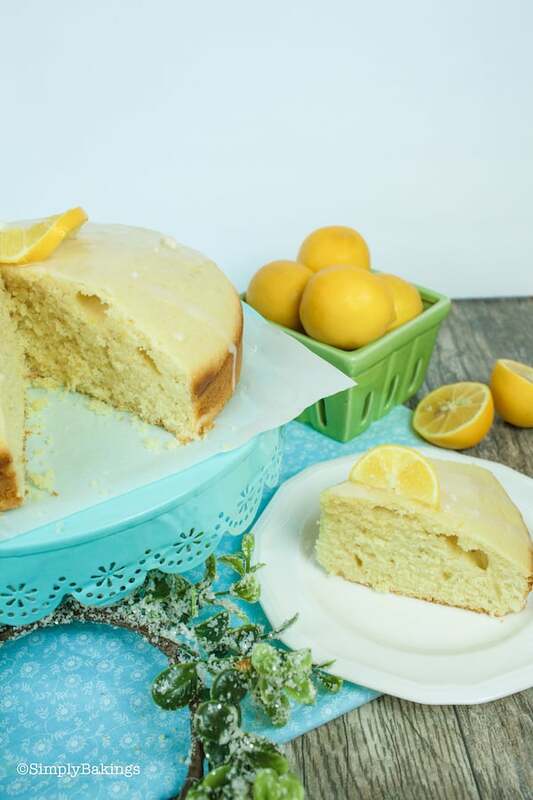 Every bite of this lemon cake is bursting with fresh lemon flavor and the easy lemon glaze on top will have you hooked after just one bite. 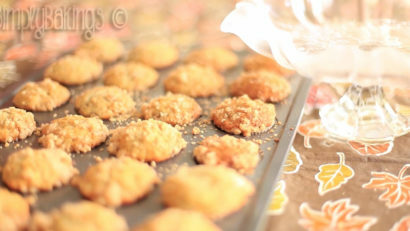 Hi, Simply Bakers! 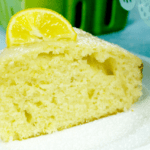 Happy New Year and I’m back and excited to share with you a delicious and simple lemon cake recipe you will love! My hubby enjoyed the cake so much- he ate 1/4 of the lemon cake as soon as he came home from work and we both finished the cake in 2 days. The lemons I used for this recipe are Meyer Lemons from my parents garden. It’s rare I purchase lemons from the store because growing up, if I wanted lemons I would pick them from the garden. Now that I’ve moved away from my parents, I usually stock up and freeze them since I can’t get them fresh anymore. However, for this recipe, I made sure I used fresh lemons. Also, did you know that Meyer Lemons are not actually true lemons? They are actually a mix of lemon and mandarins- which I had no idea! 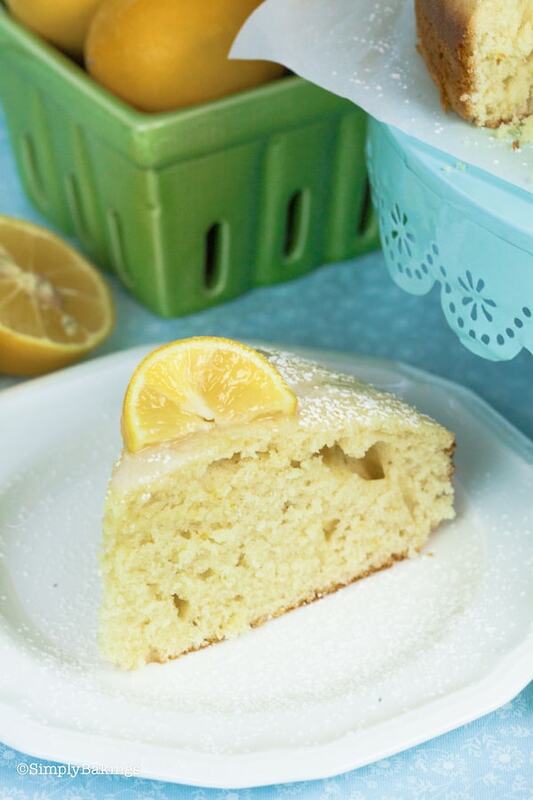 If you love lemons double the lemon zest in the recipe- it takes the lemon cake to another level of zestiness. It is important to sift the powdered sugar to make the glaze- I forgot to sift the powdered sugar so the glaze was lumpy, but to cover it up I added more powdered sugar on top. 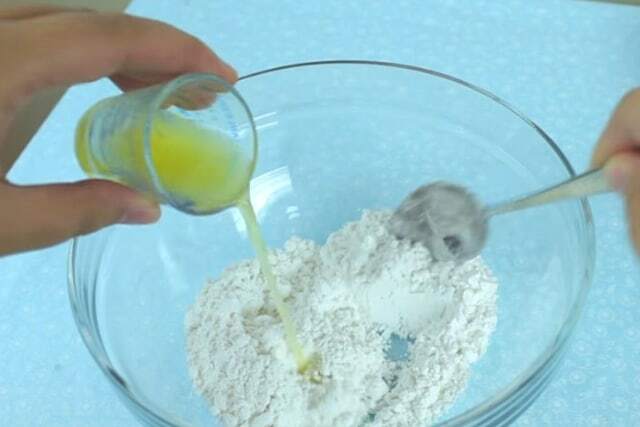 If you did not sift your powdered sugar and have already poured the lemon juice on it, just go ahead and mix it well. 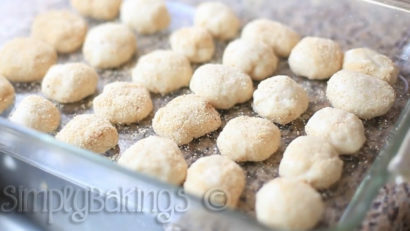 After mixing it, strain the mixture to get rid of the powdered sugar lumps. Use fresh lemons and fresh lemon zest for the best results. 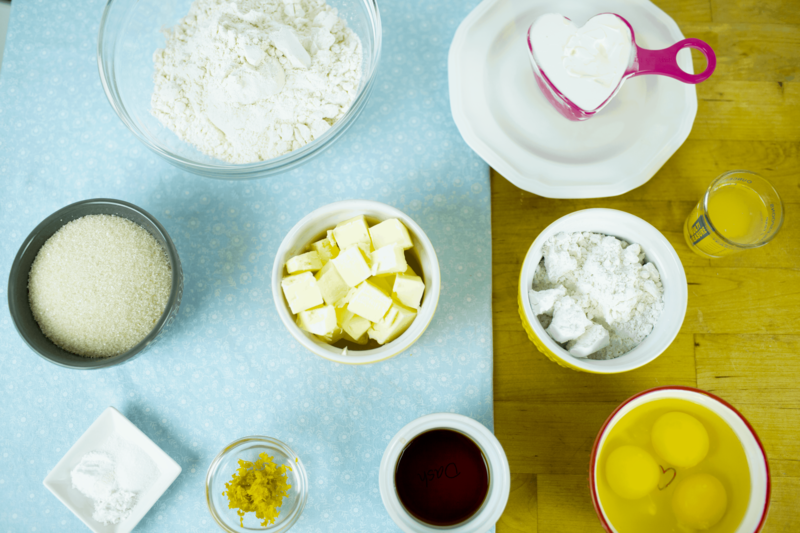 Before starting to mix the ingredient, line an 8×8 inch pan with parchment paper, then preheat your oven to 350 degrees F.
Gather the ingredients – organic cane sugar, unsalted butter, eggs, vanilla extract, lemon juice, lemon zest, sour cream, all-purpose flour, baking powder, baking soda, and sifted powdered sugar. While waiting for the cake to cool, go ahead and make the glaze. I promise it is so easy to whip up! 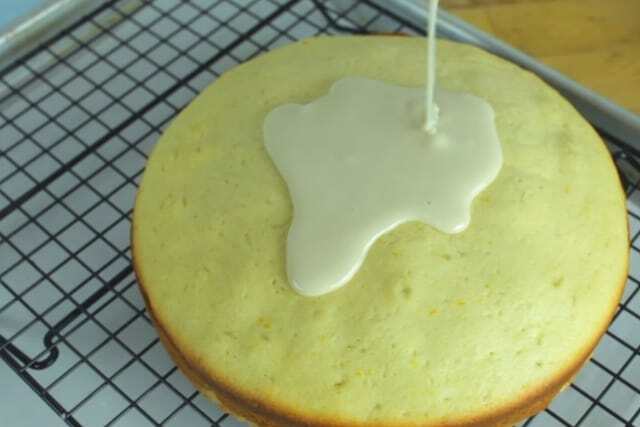 Here is an up-close shot of a very delicious but so simple to make Lemon Cake! You can make this cake from scratch and with just a bit of creativeness in the presentation, this will surely be a crowd-pleaser and a conversation-starter! Q: Can I replace the lemon juice with ready-made lemon extract? A: Yes, you can replace it if you don’t have the fresh lemon juice and zest on hand. It just tastes way better if you use fresh ingredients. Q: I have made a lemon cake before and it had a bitter aftertaste. What could have I done wrong with the recipe? A: I think you have not missed an important part of the recipe. It’s just that when you were zesting the lemon rind, you have included the white flesh which makes the lemon peel/rind bitter. Just be gentle when zesting and make sure to get the “yellow” part. Q: What other frosting goes well with lemon cakes? 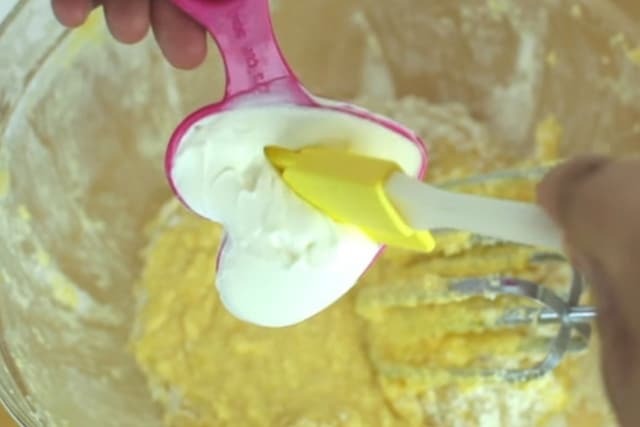 A: You can use lemon buttercream frosting, lemon cream cheese frosting, or just the whipped cream frosting. 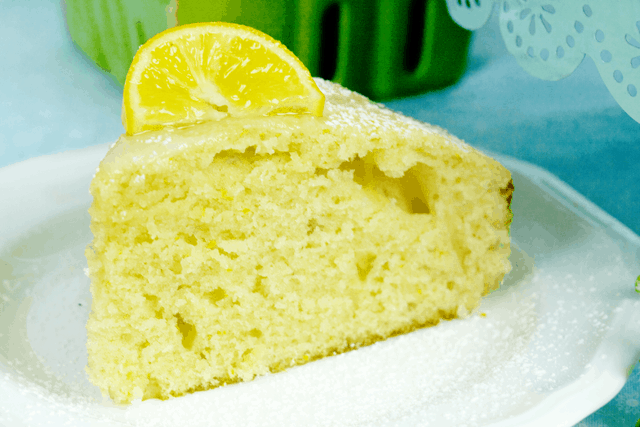 I think all of those, including the classic lemon glaze, would go perfectly with this simple lemon cake. Q: Can I use this recipe for cupcakes? A: Yes, you can! 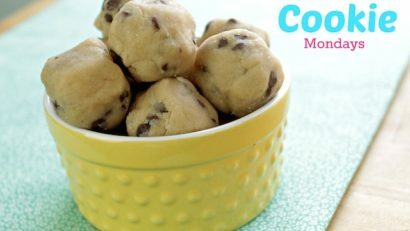 Just change the round baking pan into cupcake tins or any oven-safe cupcake molds. 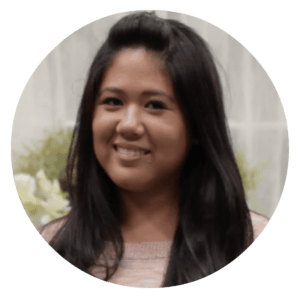 Line an 8 or 9-inch pan with parchment paper, then preheat your oven to 350 degrees F.
To make the cake, in a large bowl, add the softened unsalted butter and organic sugar. 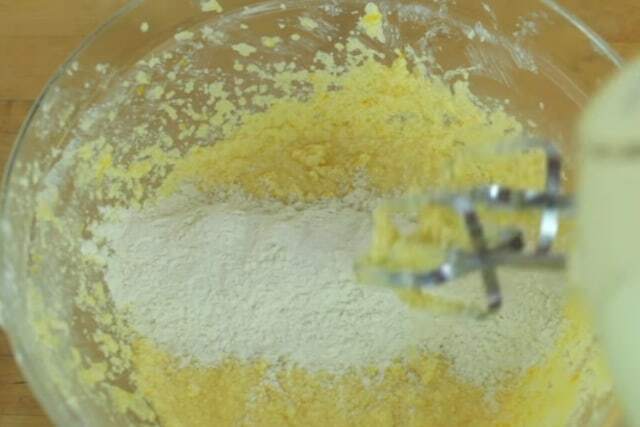 Mix it until light and fluffy. 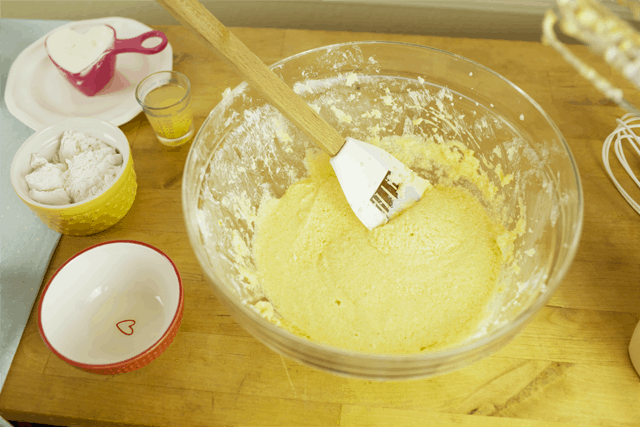 Next, add the eggs to the butter and sugar mixture. 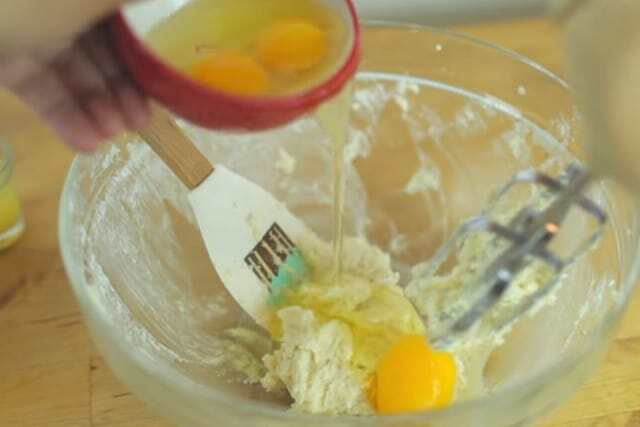 It is advised to add the eggs one at a time to ensure that they are all well-blended. 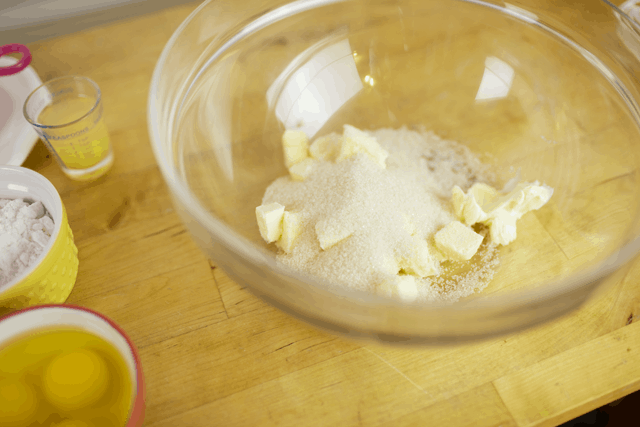 Add in the vanilla extract, fresh lemon juice, and fresh lemon zest to the mixture. Mix well and set the bowl aside. 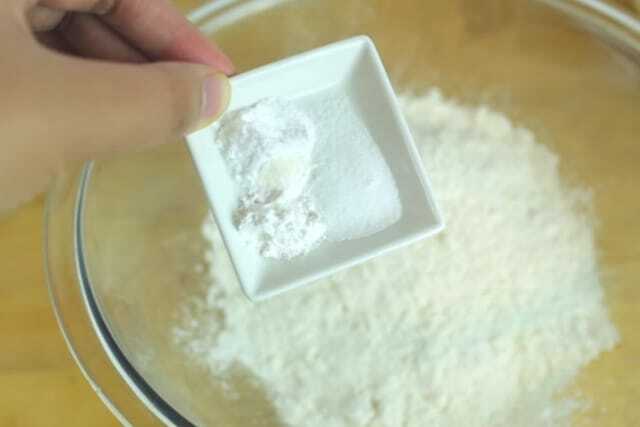 In another medium-sized bowl, add the dry ingredients – all-purpose flour, baking soda, and baking powder. 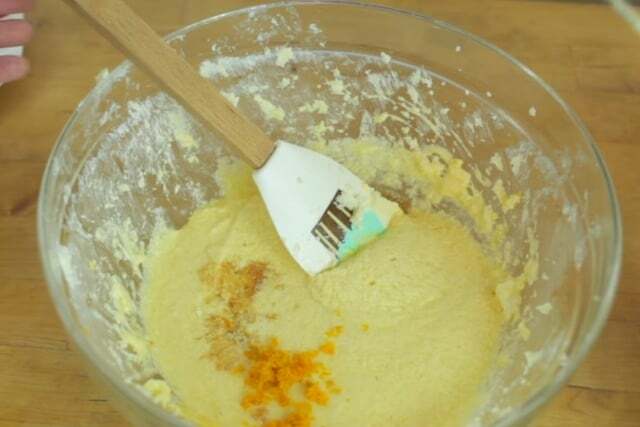 Whisk until well-combined. 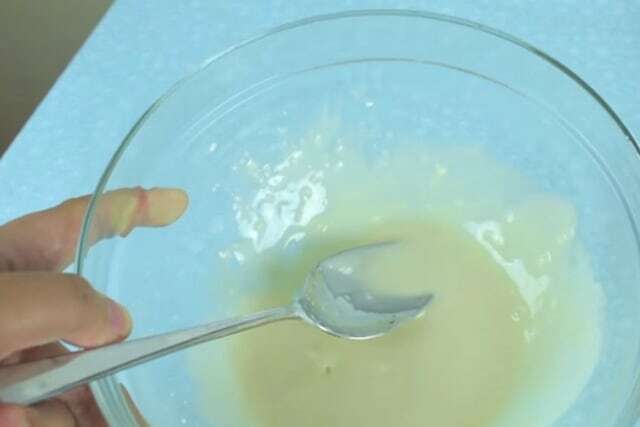 Add the dry ingredients mixture to the wet ingredients mixture. Mix until well-combined, then add the sour cream. Pour into pan and bake for 25-30 minutes. You can check your cake if it is done by sticking in a toothpick or a cake tester (if you have them). 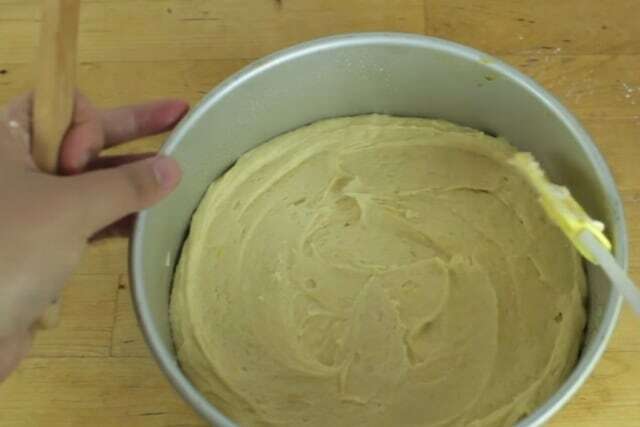 Once it comes out dry, your cake is ready. 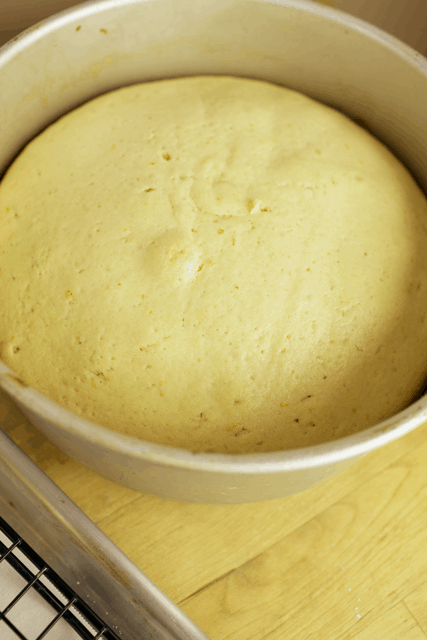 Allow the cake to cool for about 15 minutes. 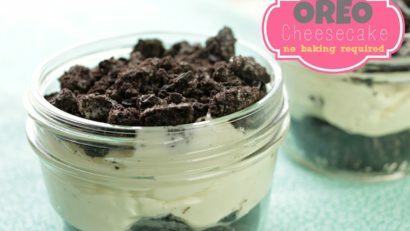 My new favorite recipe! Thank you for sharing Lainey! Awwww thank you so much for your kind words, Notes at Dusk… I truly appreciate it. Thank you for visiting my blog.